The icons and other small design elements (ex. social icons, menu arrows, etc.) are included in the “newspaper” font which is located in the ../Newspaper/images/icons folder. Newspaper Theme has a fully customizable Theme Fonts section where you can set custom, Google, Typekit or standard fonts, font sizes and font line heights. 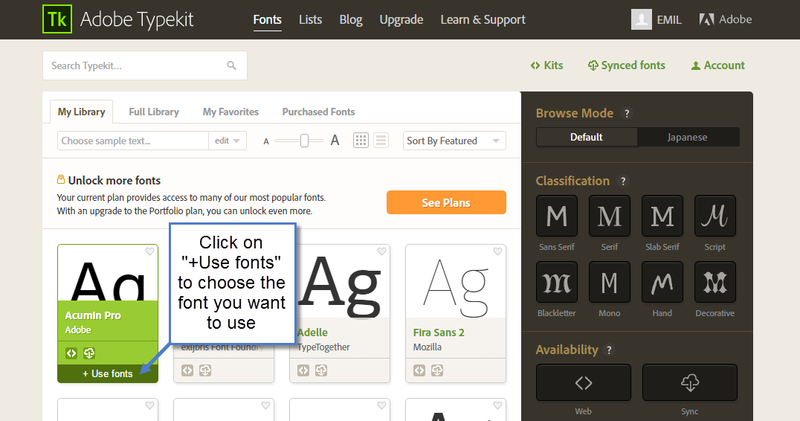 Everything you need to adjust your website fonts you will find under the Theme Fonts tab! 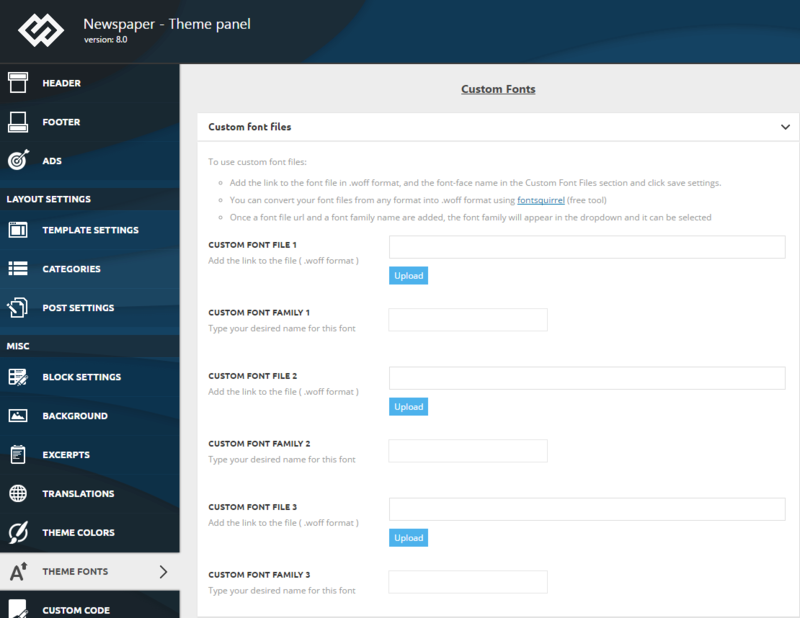 Theme fonts panel section is structured in a multitude of expandable areas related to the elements you can customize. 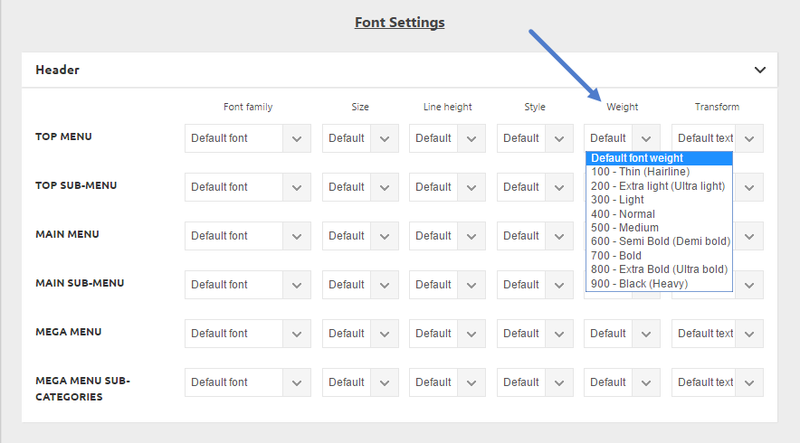 In each area, you will find loaded by default a standard font, size, line height, style, and weight. All these elements are fully customizable. 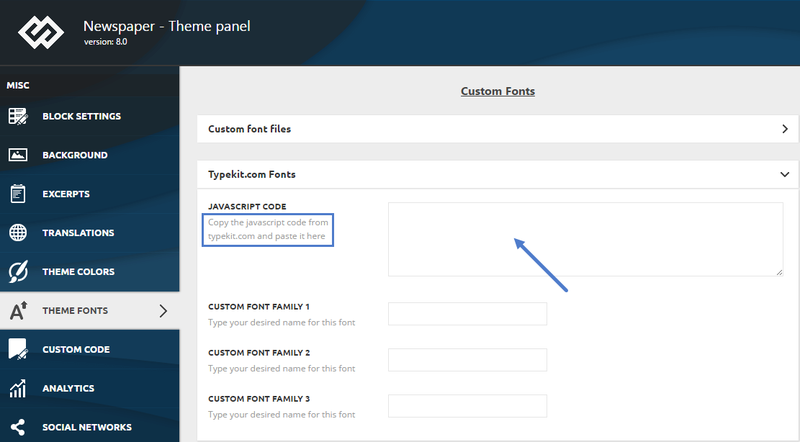 For each element from the Theme Panel > Custom Fonts you can use a different type of Google Fonts. 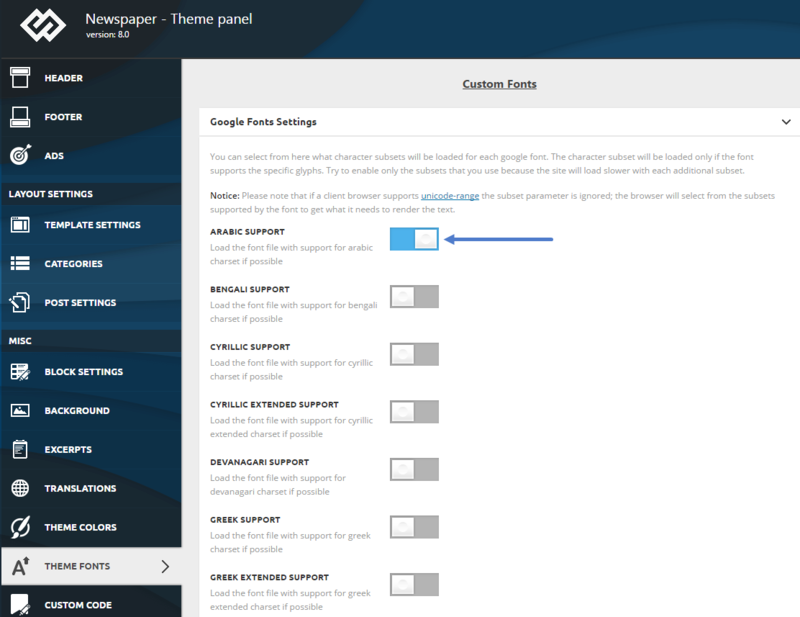 Select the section where you want to apply the Google fonts. Google Fonts are included in the drop-down list. If you want to specify what type of character subset to load (by default is “Latin”) you can do it from Theme Panel > Theme Fonts > Google Fonts Settings. 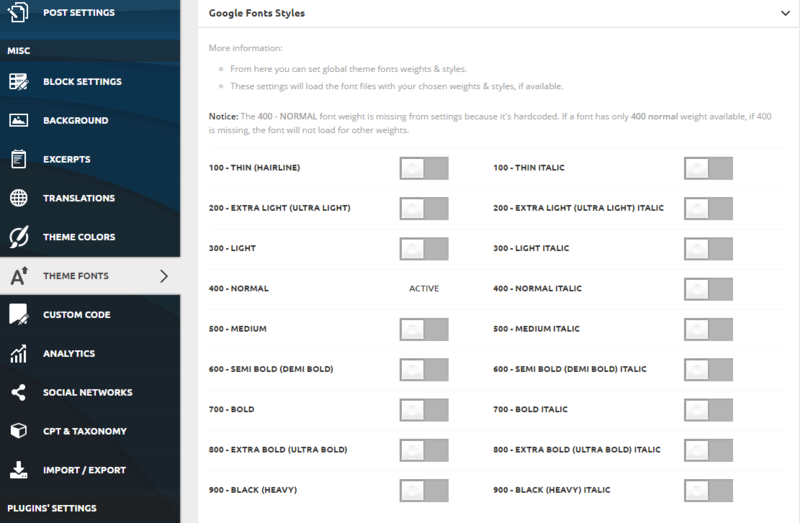 You can select from here what character subsets will be loaded for each google font. The character subset will be loaded only if the font supports the specific glyphs. 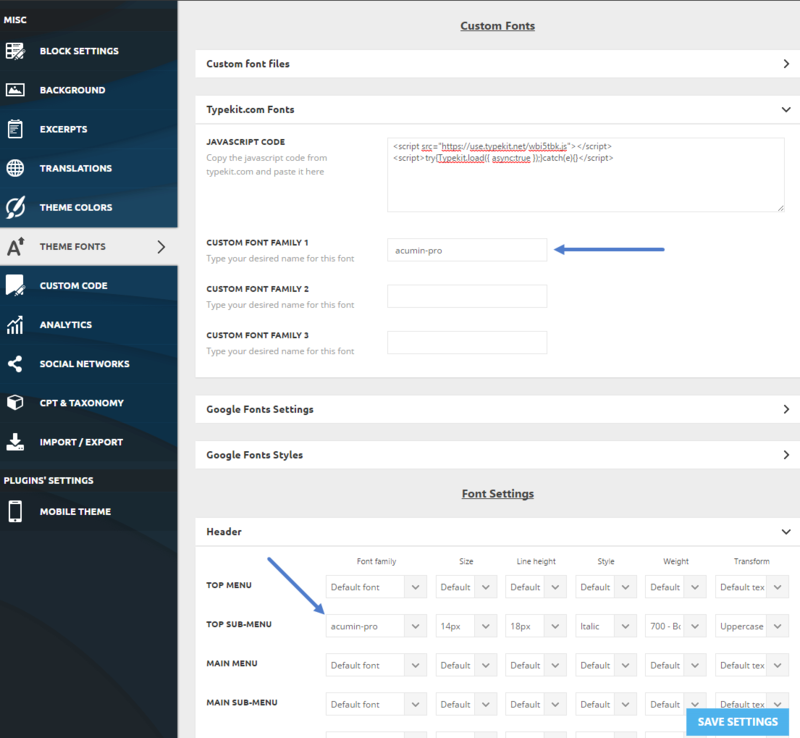 Try to enable only the subsets that you use because the site will load slower with each additional subset. The fonts will load with the default font weight of 400 and will load extra weights when the following selectors are enabled. Note: The font you choose must have the font-weight available otherwise the font weight will not work. You will need to access the Google font repository and check if the font includes the font-weight you want to use. If you want to use a custom font file make sure it has a .woff extension, else just convert it to .woff using one of the multiple online solutions. 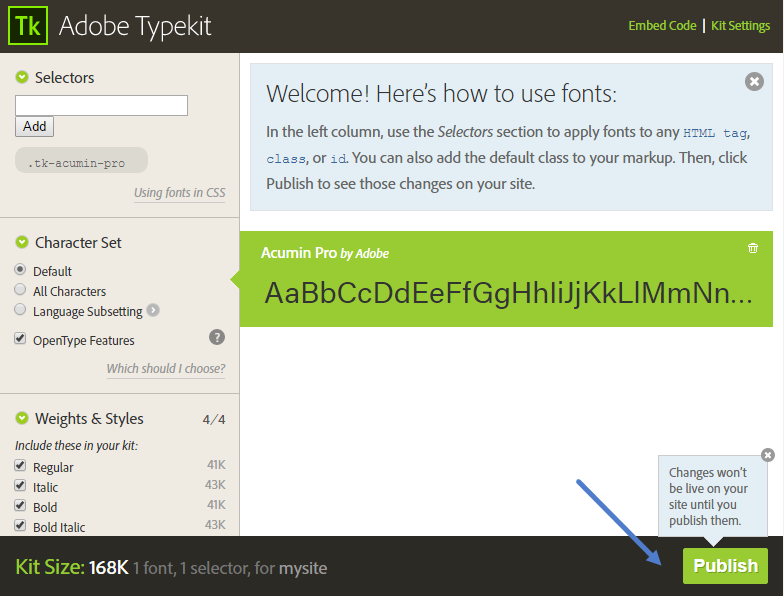 Then your new custom font will appear in the fonts selection drop-down. 3. In the new pop-up window, press Publish button. Now that you have the fonts you just need to include them in the Theme Panel. 2. 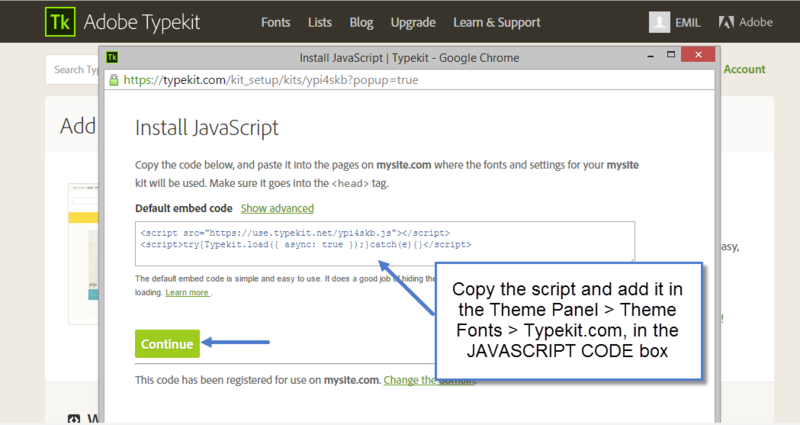 Go to Theme Panel > Theme Fonts> Typekit.com Fonts. 3. 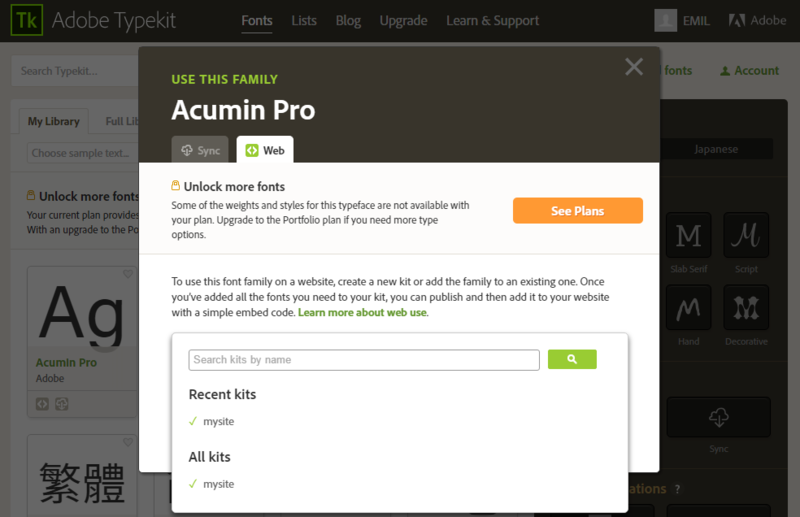 Open the font panel for the section on which you want to apply the Typekit custom font. You should now see the font being applied to your website.